We have eliminated the barriers to development on all AVIC units including Android Auto. You can now create your own ROM on an SDCard and boot directly into it. We've broken all the security and obfuscations, and we've delivered it to you in a nice, easy-to-use web user interface. This has essentially turned the Pioneer line of units into Nexus devices, that boot off SD Cards. 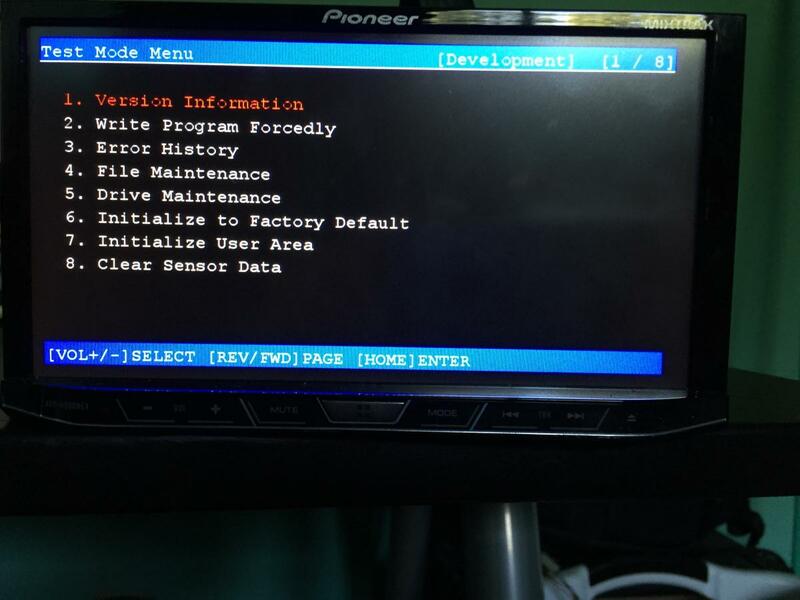 We now have the ability to change the NEX BSP Settings which allow us to unlock the SD Card and change the boot settings that are in the Pioneer NEX. We are asking all ROM developers with a NEX step and help us create our own ROM to run on all versions on the NEX System. With the help of all you we can begin to add USB Wifi Drivers, a custom app launcher, the play store, interface skins, more radio presets, radio station data augmented by the internet, Android Auto, iDatalink Gauges, and much more only limited by what we can develop. NEVER ENTER COPY DEVICE MODE, YOU WILL BRICK YOUR DEVICE! Here's a quick overview of what we will do in this post. 2. Backup your current internal SD Card, or obtain a backup SD Card Image. 4. Remember your build number and download your package. 8. If you removed the SD Card password you need to insert a new internal SD Card with a backup image. Let's talk about the details, now. 1. Insert the USB Stick to USB Port 1 on the device. 2. Start the deck, it will then reboot into Technical TestMode. You must use the keys to navigate the menus. BE VERY CAREFUL AS SOME OPTIONS CAN BRICK YOUR UNIT. 3. Use the Vol - button to navigate to "Write Programs Forcibly"
5. Use the Vol - button to navigate to "Copy Script"
7. Take note of the Values on the right hand side of the screen, THESE WILL BE ERASED. (It is currently unknown if these will be needed in the future). If you really want to keep these values though, you can write them down and place them in the corresponding SDCardCWWVersion.txt before you continue. 8. Press the Home Button to run the script. 9. After it says 100% press the Home Button to reset the unit and remove the USB stick. 1. Backup your current BSP and Nor Flash. C. Click Build and note the build number that was started on the left. D. Navigate to https://jenkins.casual-dev.com/job/Customize%20BSP/NSERT_BUILD_NUMBER_HERE/artifact/ where INSERT_BUILD_NUMBER_HERE is your build number. G. Follow the "Copy Script Mode" steps. H. The unit when it reboots should error out because you removed the SD Card Password lock. A. dd the AVIC.img you backed up to an SD Card of the appropriate size. B. Insert the new SD Card into the Internal SD Card slot. C. Start up the unit. NOTE: It will take a bit for the device to boot since you have disabled WARP above. 5. Congrats!!!! You can now remove the internal SD Card at will and modify the items in the partition and put it back into the Deck. Good luck on your Custom Rom Development and be sure to share your creations!! 1. Help us by developing custom roms using the steps above and sharing your creations. 2. Once we have a custom rom we want to share easily, we will get to the steps where we start Creating a new WARP snapshot, and recompiling them back into PRG Update Files. 3. Find a way to enable ADB, One option would be to add a Network Bluetooth Profile, Another option is figuring out USB OTG properly. 4. Lets create an app launcher. 5. Figure out how to modify the maps. 6. Figure out Android Auto/Bluetooth Audio on older models with the new software. Where 2424832 is start address, 65536 is memory erase block size. Looks like both this values must be multiple of 0x10000 (Address is aligned to 0x10000 boundary, size is multiple of 0x10000), at least original firmware uses this alignment. At startup U-Boot checks availability (valid signature and valid crc32 checksum) of both sides of BSP. 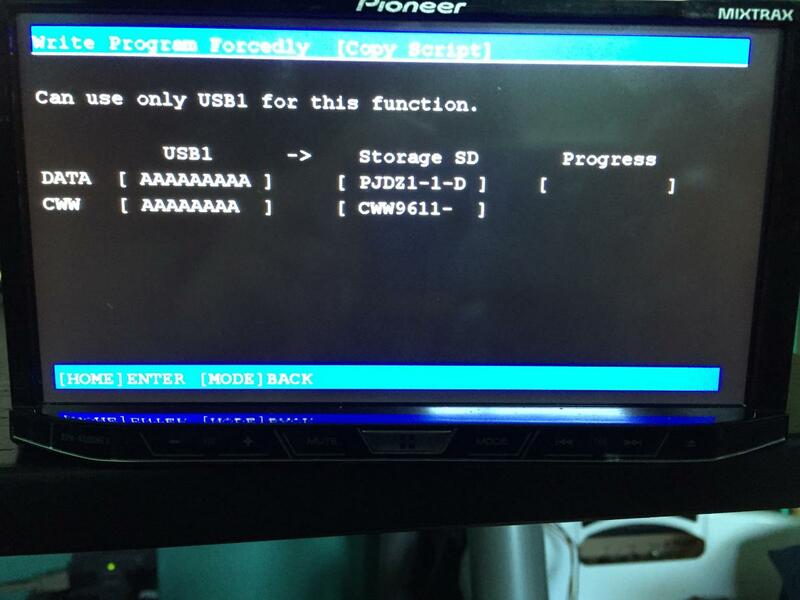 If Side A is invalid, U-Boot copies Side B to Side A. If Side B is invalid, U-Boot copes Side A to Side B. If both sides is invalid, U-Boot creates default BSP (W/O password) and writes this BSP to both sides. After this main function tries to initialize sd card and set password. 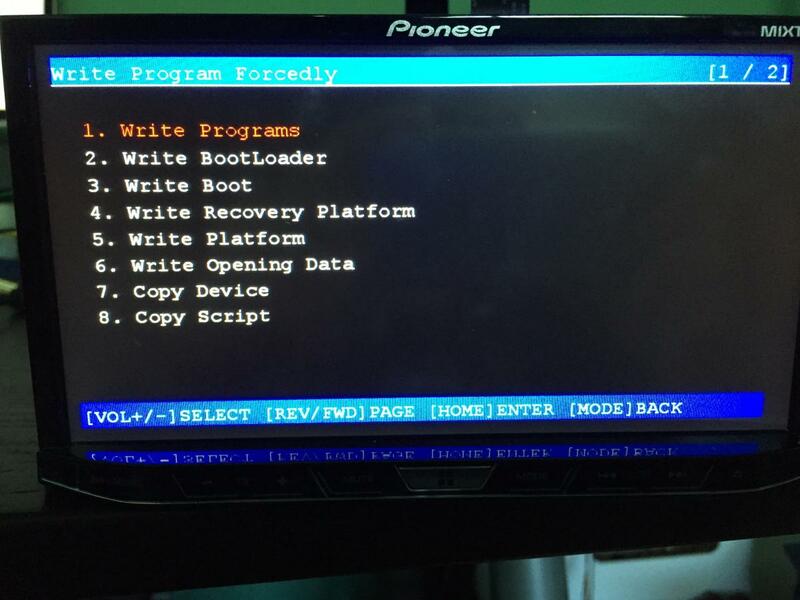 If initialization of sd card (or password) is failed, U-Boot enters EasyRecovery stage. During SD card initialization U-Boot tries to unlock SD card with password stored in BSP. If SD card isn't password locked, U-Boot sets (locks) SD card with password from BSP. If password contains 16 '*' chars or 16 0xFF chars then U-Boot does not use password at all and does not tries to set password on unlocked sd card. So to use SDCard w/o password you need to remove password from BSP (fill with *) and after this insert new unlocked SD card into device. After initialization, U-Boot reads BSP startup information and tries to boot using BSP settings. For normal boot (ulbootmode var = NORMAL) it is possible to specify WARP setting (ulsubbootmode setting: do not use WARP, use WARP, clear WARP cache). WARP can boot from two sides (a/b, ulwarpboot variable) Also, ulbootimageflag is used to specify normal kernel side ( A or B ) which used to boot system. 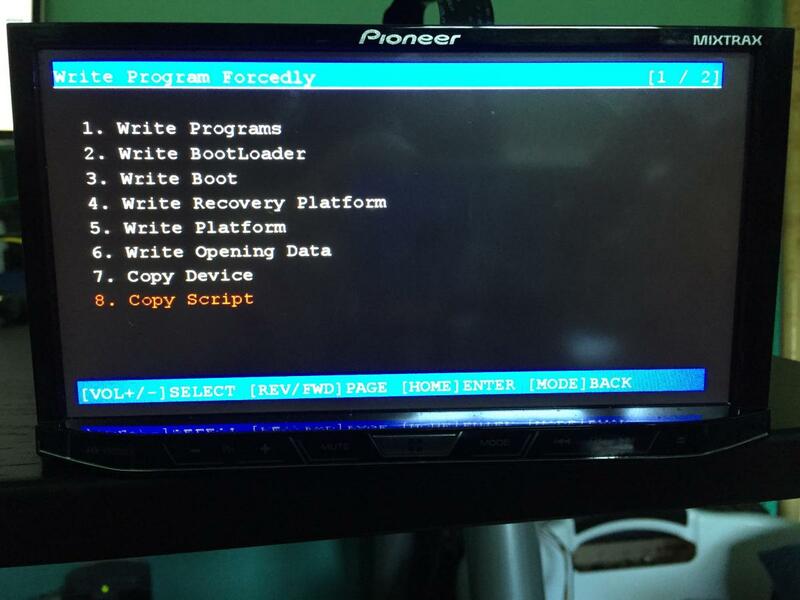 For recovery boot (ulbootmode var = RECVOERY_BOOT, yes, exactly RECVOERY) ulrecoveryimageflag contains info wich side (A or B from two sides on SD card) is use to boot recovery kernel. If something wrong occures, U-Boot tries to start EasyRecovery kernel from NOR flash. BSP is 84-byte structure containing signature (A5 5A 5A A5, used for struct validation), 76 bytes of data and 4 bytes of CRC32 field. Where 2c9b382df1de42c0 is android_id setting (http://developer.android.com/reference/android/provider/Settings.Secure.html#ANDROID_ID) this setting is the same for different devices of same model. For example, both F960BT and F960DAB contains 2bd9ce6e1af1bc81 device id. For 8100NEX device id is 7d15307dcf66e17c. Also this ID can be freely modified. 744A45534443202010300012DC00DC00 is sd card id (format isn't yet known but I belive it based only on sd card info). Also, iGo works great on cloned devices, so licensing information (data for device identification) and so on is exists only on sd card. 3. Debug can be enabled. 4. We can modify the Internal SD Card by inserting it into the computer with the above turned on. 5. Custom ROM development can truly begin. What the heck is warp? A: It's the hibernate function. Ã‚ At the factory, they hibernate the device and every time it turns on it uses this information. This prevents us from loading custom firmware because the deck chooses this memory loaded information over the filesystem changes that we create. A: The BSP is a special are in the NOR Memory (different from the SD Card), where U-Boot, EasyRecovery and all the low-level U-Boot settings are located. It is 84 bytes in size and has two copies in case one fails. A: The NOR Memory is an area separate of the SD Card that contains, boot settings, recovery partitions and the boot loader. Why do we need to remove the SD Card Password? A: The Pioneer dev's decided to put a hardcoded password lock onto the Internal System SD Card that prevents you from just putting it into your computer. By removing it we allow the ability to remove the internal SD and to put it into any computer to modify the Platform files, without having to run an Update. What is the SD Card password? Can't we just unlock the password on a computer and not change the BSP? A: Yes, and no. In order to unlock the SD card you need to have the ability to run CMD42 on the SDCard which most linux distributions and osÃ¢â‚¬â„¢s do not have. A: The Debug mode outputs more logs and turns on a console port somewhere on the device. We still do not know where that is. NOTE: It is most likely possible to patch the kernel to use the iDataLink port as a UART console for ADB. What are the device paths if I want to change the backup or restore locations? What is the Partition Map look like? 6      590MB   622MB   31.5MB  logical   android      recovery B              RECOVERYEASY/ERY.PRG ? How can I unlock my SD Card? 5. When unit shows Mode Change OK screen, remove the SDCard and power off the unit. Update 8/16/2015: Added how to unlock an SD Card. Due to contractual obligations, I did nothing. I watched. I like watching. Great work guys, subscribing to the topic. congrats guys. this is huge. thank you for kicking the door open on this. Very well done, all. Maybe we can start off slow and get the x000 devices to work with the x100 firmware? I don't have a jtag device, knowledge, etc, so I'd be very concerned. 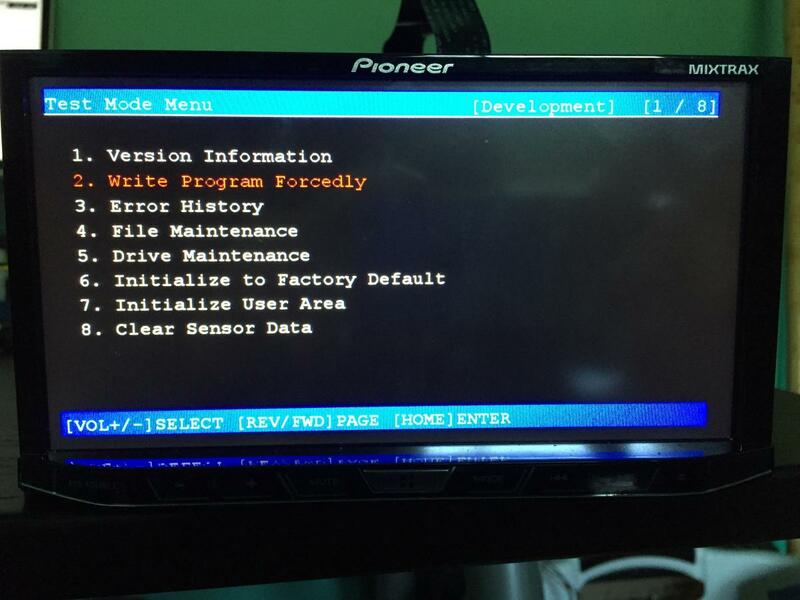 Nice, maybe we get an modded AVIC-F70DAB firmware? Just to confirm the very first sentence "We have eliminated the barriers to development on all AVIC units including Android Auto." Does this mean what I think (and hope) it does? That it will work on non-NEX units as well (like my X940BT)? Awesome ... can't wait to see some compiled ROMs and run Android on it!